Ok, so the movie Jerry Maguire is a bit of a stretch when it comes to painting an accurate picture of the sports management game, but it’s not too far-fetched. When you think about it, what other career allows people to combine their love of sports with their interest in business, make big bucks doing it, and even meet a few rising stars along the way? Not too many! Technology skills are essential as well, so sports managers must know how to use a range of accounting, email, and graphics and photo imaging software, and spreadsheet and video conferencing software. Adobe Systems Adobe Photoshop and Microsoft Excel are just a few “hot technologies” frequently included in employer job postings for sports managers. 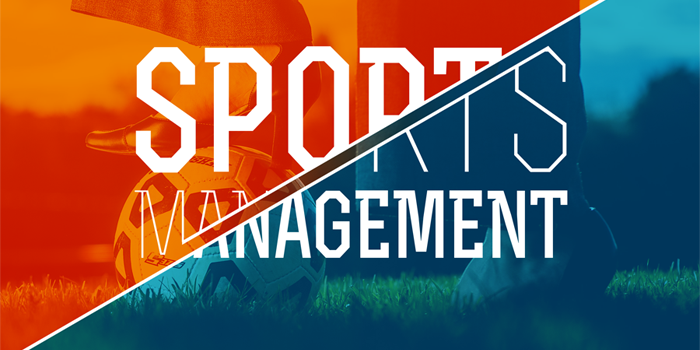 To acquire all of the skills needed to land a job and be successful in the industry, many aspiring sports managers opt for an MS or MBA in Sports Management. However, the MBA is fast becoming the preferred choice for employers and future sports managers alike. In fact, a recent U.S. News and World Report Education headline read “M.B.A. Is MVP of Sports Management Industry, Some Say: Students with sports M.B.A.’s may have an advantage over peers with master of arts or science degrees.” And according to the North American Society for Sport Management (NASSM), nearly 250 U.S. schools offer graduate sports management programs. Just a few standouts that offer a specialization in sports management, or the opportunity to customize one through electives, include UCLA’s Anderson School of Management, Northwestern University – School of Professional Studies, NYU School of Professional Studies - Tisch Institute for Sports Management, Media, and Business, Columbia University, Temple University’s School of Sport, Tourism and Hospitality Management, and George Washington University’s School of Business. Students often participate in a range of immersive workshops, multiple internships, and global experiences as well. Graduates of Sports Management MBA programs can expect to earn a minimum of $86,560 annually, starting out. However, many graduates are offered six figures to start, with high performers eventually earning up to $200,000 or more per year. Looking for schools that offer an MBA in Sports Management? Begin your search with our School Finder here. "Sports Management Concentration." GW School of Business. The George Washington University, n.d. Web. 23 Aug. 2017. "13-1011 Agents and Business Managers of Artists, Performers, and Athletes." U.S. Bureau of Labor Statistics. U.S. Department of Labor, Division of Occupational Employment Statistics, 31 Mar. 2017. Web. 23 Aug. 2017. "13-1011.00 - Agents and Business Managers of Artists, Performers, and Athletes." O*NET OnLine. U.S. Department of Labor by the National Center for O*NET Development, 01 Aug. 2017. Web. 23 Aug. 2017.